We had a wonderful busy weekend with lots of visitors out to the farm. A special thanks to the Dilworth family, Michael, Stephanie, Aidan, Lauren, and Jack for sharing these great photos with us! The weather remains unsettled currently, and is keeping us on our toes. The report overnight tonight is right on the verge with a predicted low of one degree. It sounds like the weatherman is just as baffled as we are, calling for a possible 10cm of wet snow or some freezing rain or maybe just plain wet rain! We boiled a batch of syrup off this afternoon and the sap has continued to run. It looks like Dad will have to boil again around midnight tonight and then get up once or twice through the night to check the tanks. He tells me he had a good sleep last night so he should have no problem staying awake tonight. At this rate, it won't be long before those sugarmaker dark circles start to make an appearance... But, we won't bite the hand that feeds us, we're always happy to see the sap! It was a beautiful weekend to visit your farm. My mother and I drove up from Mississauga on Saturday and stocked up on your wonderful maple syrup. 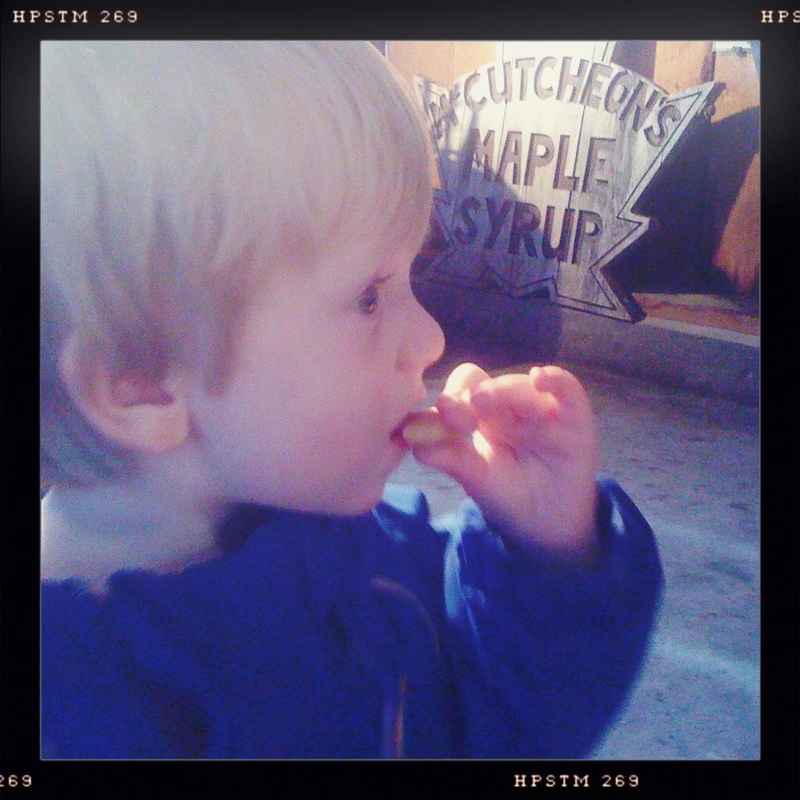 I also tried some maple toffee for the first time and it was awesome. Because I don't bake or eat a lot of wheat based products, I wasn't sure what I was going to do with my syrup. I decided to try it on my morning omelet, which always includes some chopped fresh basil. The taste combination of the maple and basil was amazing. I know I will use the syrup I have and will be back before the end of the season to get more. Thanks to you and your family for making such a delicious product. Hi there Carley!... 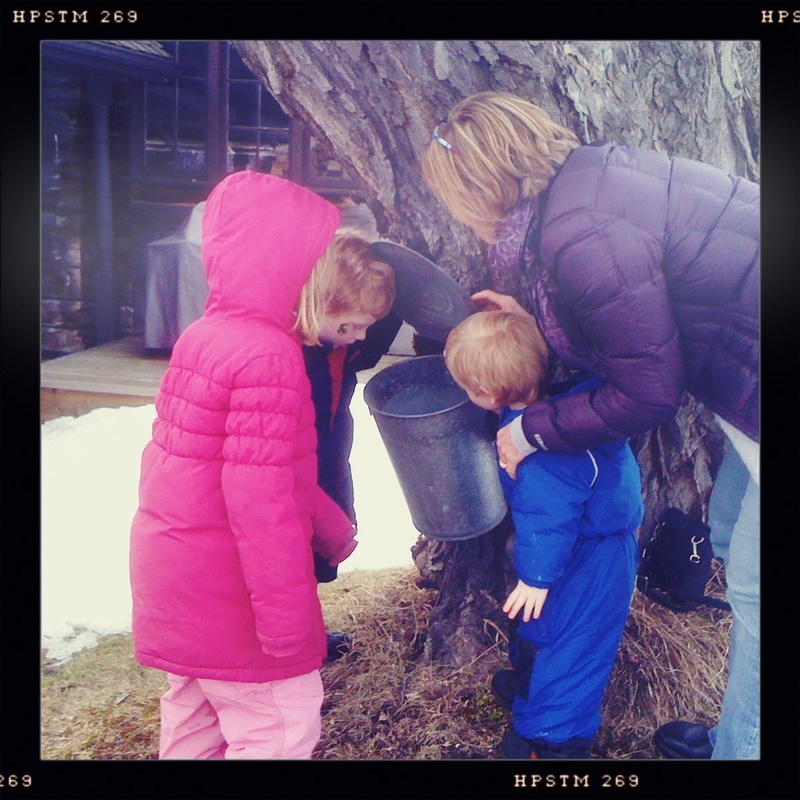 Really enjoyed my afternoon at your family's sugar bush! It was so nice to finally get to meet "You"... and to have time to catch up with the rest of your family. Really enjoyed the sugar wax/ taffy that you poured for us on the snow! having the robins and Red Wings back... and my yearly "fix" on McCutcheon maple products... tells "Me"... Spring has truly Sprung! Good run!... and lots of sales n' sunny days!